Aaron Katz made his name with the critically acclaimed movies Quiet City and Dance Party USA that helped define a new genre: mumblecore. 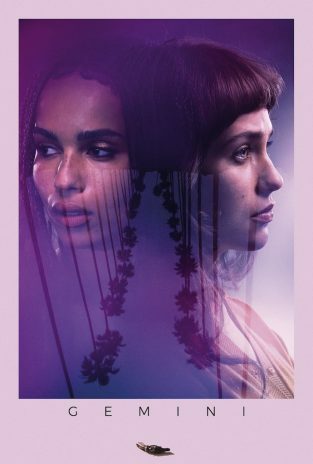 But with Gemini he has created a gem of a LA based neo-noir mystery with two knockout performances from Lola Kirke and Zoë Kravitz (you can found the movie on CHILI here). Hot Corn met up with him at Locarno last year. 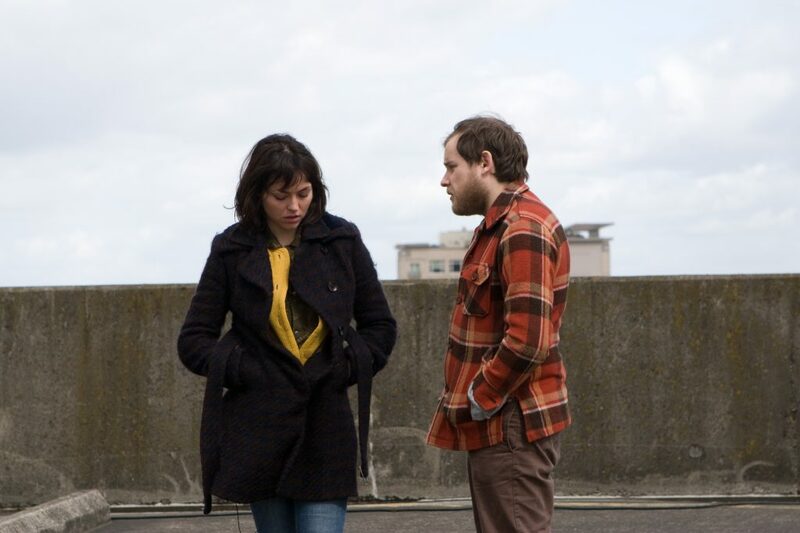 Trieste Kelly Dunn and Aaron Katz on the set of Cold Weather. 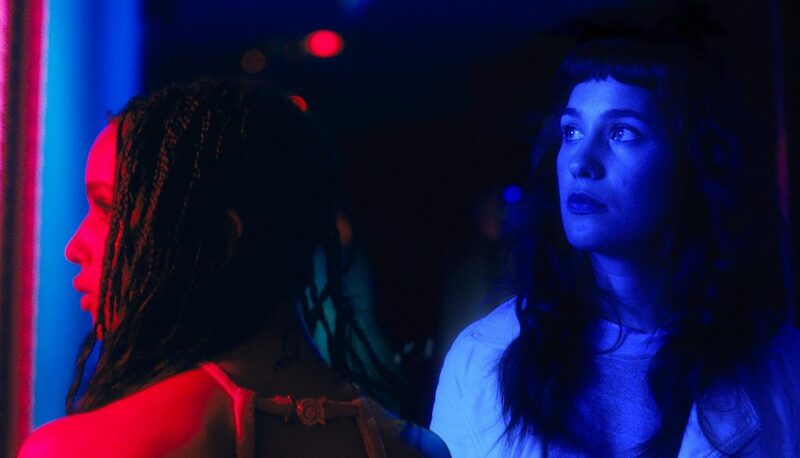 Gemini is a real departure for you: from mumblecore to neo-noir. I’m really proud of Quiet City and Dance Party USA but it felt like I’d already made those movies. Part of what makes me proud of those movies was that I was young. As I’ve gotten older I’m more interested in genre forms and the Hollywood studio structure of a story but inhabited by people who are more surprising. Some of the films that I admire like Body Heat, my DP and I saw a double feature The Bedroom Window and Bad Influence and those films are a big inspiration. Film noir is an inspiration but for me it’s actually more the VHS-era of thrillers and early 80s through to the mid-90s, Fear, Jade – even B-level stuff like Masquerade, Malice with Alec Baldwin. Some of those films are more thoughtfully made than others, specifically the Curtis Hanson ones – Bad Influence andThe Hand that Rocks the Cradle– there’s an elegance and the camera direction is so sparse. There so thoughtfully camera-directed. James Spader and Rob Lowe in Bad Influence. Gemini is also very much an LA movie, right? I was in Los Angeles for three years when I wrote Gemini. When I first moved to the city I wasn’t sure I was going to like it. I’d heard the things people don’t like about it: it’s fake, like Hollywood and Vine, it’s unpleasant, it’s terrible; brand new very expensive obnoxious places or shopping carts filled with trash. Those are both things are part of the Los Angeles experience, but LA has just so many layers, so many different experiences. And it’s such a horizontal city, so if you are on Hollywood and Vine you’re there: people in superhero costumes and screaming about tour buses, but you go 20 blocks south and you’re in Korea town and that’s a whole other thing. 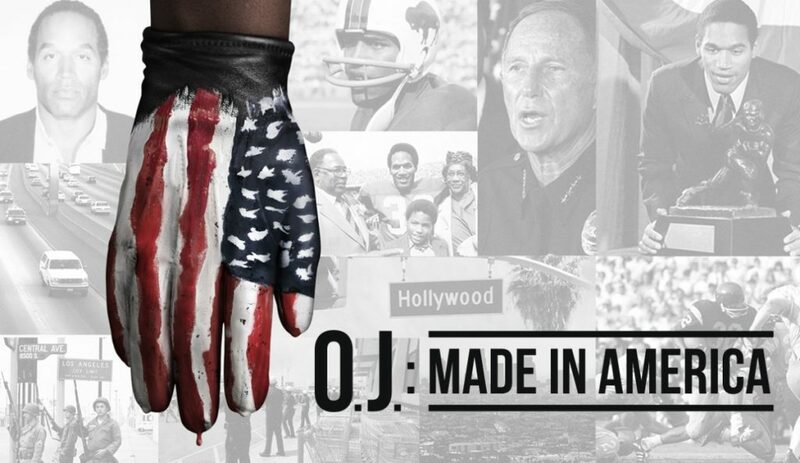 LA is a beautiful city, it certainly has problems as reflected in the OJ: Made in America, which does a good job of catching the tension in the city but it’s more than most a diverse and beautiful and interesting city that gets not merely as much credit as it deserves. What were the origins of Gemini? I was working on another film that did not get made and I was meeting with some actresses and I was able to observe this relationship. And what was interesting to me was this line between a professional and a personal relationship was as blurry as I’ve ever seen it. Emotionally and even the hours you work and where you fit into that person’s life – an assistant is both indispensable and an employee who can be fired at any time. It’s a very uneven power dynamic. It almost feels tacky to think of it as employer-employee. The assistant knows everything about the celebrity’s life, but the celebrity only knows part of the assistant’s. The assistant keeps things to themselves because otherwise their whole life can get sucked into this definition. And how did you come across Lola Kirke? The film was written with Lola in mind. I’d seen her in Mistress America and I was thinking of writing a film in this genre and this relationship and when I saw her performance I thought this was a truly great actress. So even when I had the script in a rough form, I gave it to her and she got excited about it. She’d just moved to LA and so we spent a lot of time talking about who this person is and Zoe came on a little later but still early. So Zoe and Lola have a lot of ownership over who these people are, both in the writing process and when we were shooting, we all really trusted each other. Sometimes we’d stick largely to the script and then explore new directions. The essence of their interaction was in the script but they elevated it because of the work they’d done and the way they knew each other. They had a dynamic. You could feel a palpable sense of a relationship between each other. Greta Gerwig and Lola Kirke in Mistress America. 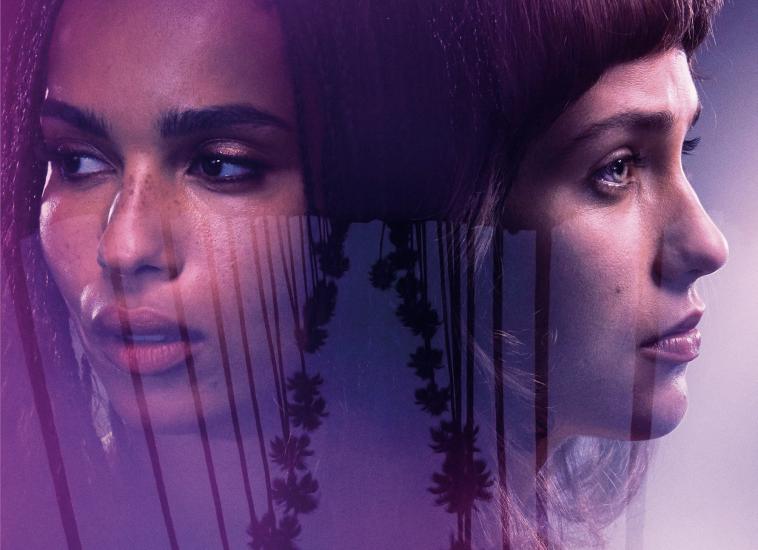 Heather (Zoe Kravitz) and Jill (Lola Kirke) have a complex relationship. Heather’s basically hired her only friend. She’s hired to be her assistant but also her friend. Observing some of these relationships, it’s an incredibly privileged world but it’s also an incredibly lonely world because as we see everyone wants something from Heather. In a weird way, only the person who is actually employed by her, isn’t motivated by wanting something from her. Her only desire is to make it through the day. Zoe Kravitz and Lola Kirke in Gemini. Your film certainly passes the Bechdel test in terms of strong female characters. Was that your intention? It started with a very specific pair of women and I guess it grew out from there. It made sense that her agent would be a woman. In movies, one usually sees two women in a film they’re in competition with each other. Jill is trying to help Heather and Heather’s girlfriend is trying to help her. There are elements of competition, but it felt as I was writing it I wanted to see something I don’t see a lot of in film and then a huge part of the process was that Lola and Zoe were very involved in the development of the film and their characters. Do you think Hollywood is tough? Tough people respect other tough people in Hollywood. If people can fight all the time, as long as they think the other people are competent, they respect them. All of our producers are very aggressive in a positive way, assertive, but when they’re dealing with an agent, as long as they feel the agent is competent, they can go through all these arguments, but as long as there’s competence there’s respect. Whereas if someone is the nicest person in the world but they’re not doing their job right, that’s the biggest sin. It feels like its encouraged by the echo chamber of the one-upmanship. How late did you work tonight? It’s good that people are competent at their jobs. You also wrote the screenplay for Gemini. What’s your writing process? I often try and write very quickly. I’ll have a lot of ideas on the list of things I want to do and I’ll keep some of the structures in mind, but I try not to read back what I’ve written, so hopefully I’ll have something more instinctual and those structures kind of come later. Then I try and shape it more. There are reasons why those structures – from James M. Cain and Dashiell Hammett – work. As I get older I look to that more. I like the challenge of shaping something in that way and yet at the same time not being too beholden to it. 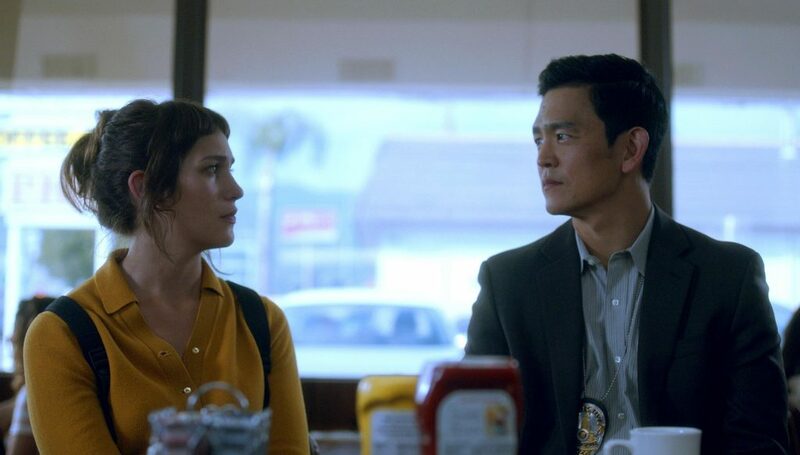 Lola Kirke with John Cho in Gemini. 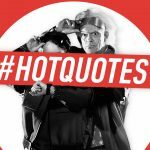 Having moved from mumblecore to neo-noir are there any other genres you’d like to tackle in the future? Science Fiction is a genre I’m really interested in. A lot of Science Fiction films I enjoy but wouldn’t want to make. Alien is one of my favourite movie. It’s a perfect movie. It has a simple elegance to it. It knows what it wants to be and you couldn’t execute that movie any better. Or The Thing is another, suspiciously similar to Alien, but there’s a purity to it. I’m interested in horror, not super-violent horror, like Alien or Halloween. It’s so minimal. It spends the first half of the movie in a slow build. I’d also love to do something in an Edwardian romantic – EF Benson novels – anyone who likes PG Wodehouse would love him. 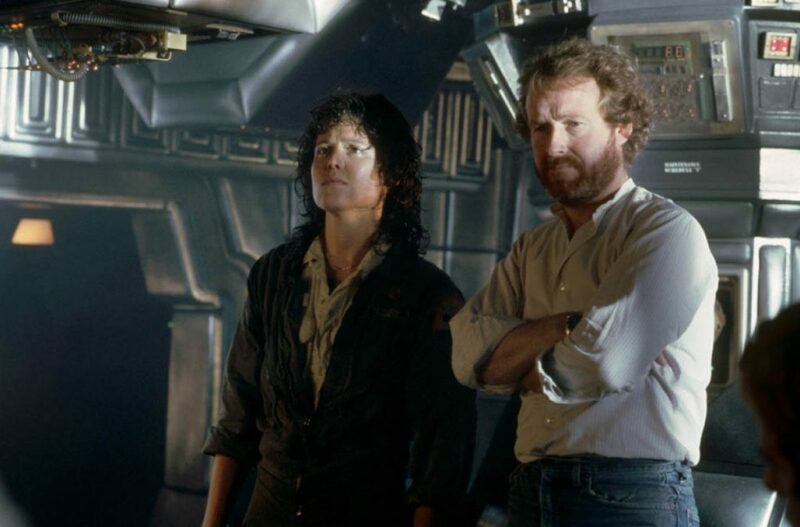 Alien: Sigourney Weaver and Ridley Scott on set. I’d love to explore that genre. Like with thrillers there are ways to explore it in a new way. I love A Room with a View and Age of Innocence but I think there are ways to be in the same world but look at humans in a different perspective. There’s a lot of room in that world that hasn’t been explored. Cary Fukanaga’s Jane Eyre did that and Andrea Arnold’s Wuthering Heights, which I’m a little mixed on but is a new way of looking into period but accepting that humans are still human and have some traits that we’re not used to seeing in period film. Gemini is available on CHILI here: Gemini.